Online training is like having your own real life personal trainer in your pocket. 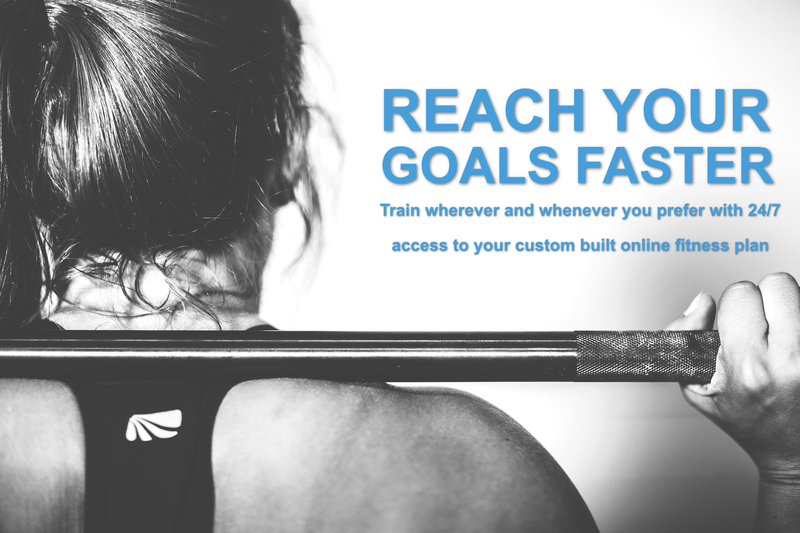 Via my online training app, I design and deliver custom built workouts and lifestyle coaching tools directly to your device to help you achieve your specific, individual goals. Within the app I can remotely monitor your workout progress, check your nutrition, see how active you have been and make sure your workouts are consistent, on point and moving you forward. There is no danger of not understanding what to do either. The exercises all come with a full video tutorial and instructions and each individual exercise has a detailed tutorial of exactly how do it successfully and the benefits attached to why I have prescribed it to you in the first place. Regardless of what your goals are, I can create you a specific plan to help you stay focused, motivated and ensure you achieve your objectives without the worry of hoping or guessing if you are doing it right on your own. Online Personal Training means you will be training in a way which completely complements your individual lifestyle. You can train at a gym, at home, on holiday, in the park - anywhere! The beauty of training online is that I can create a custom workout plan for you which you can take with you anywhere in the world. Where my clients traditionally would come to see me for 1-2-1 training at my studio and have to work around my availability, this way I can work completely around you. This is a bespoke training plan set on your terms. I have said on my Blog many times that food equals around 70% of the results you see from your workouts. My online training app syncs to your MyFitnessPal account so I can track your nutrition and offer you professional nutrition coaching and feedback. My app is not full of pre built workouts or generic exercise lists. This is actually ME in your pocket. With built in messenger, you can contact me and ask questions or for help. Your workouts are custom made based on our detailed consultation. The coaching tips and advice you will receive is all from me personally, direct to you and your individual goals. It's often not that people don't know what to do, but lack the motivation to do it. I help create, coach and most importantly, track your new habits with you to help boost your motivation to achieve amazing results. My aim in launching Online PT was to be able to help people achieve their goals remotely. You will still receive the same level of service, however, that I offer in my 1-2-1 sessions. I take your goals, workout history, injuries, medical history and nutrition into account before creating your detailed workout plan. No longer do you have to go to the gym to workout. No equipment? No problem. Want to train at home, holiday or hotel room on business? I have you covered. I create custom workouts based on your lifestyle, not location. Long hours at work? Sore achy 'Office Back?' I provide remote, online therapeutic and functional fitness based solutions to help reduce postural pain and improve your mobility, stability and strength. Get in touch with me via my Contact Me page, call me or send me a text to let me know you are interested in training online with me. Once acquainted, we can arrange a complementary, no obligation 30 minute phone call to discuss your goals. I will then explain how I can help begin to move you forward toward what you would like to achieve. If you decide the fit isn't right, you are under no obligation to take things any further. After our consultation we can book you in for an online assessment. In order to train you properly, I need an understanding of how your body works; Your strengths, weakness and how your body moves. I then use this information with your goals to create your personalised plan (this may take up to five working days). I charge a admin fee of £50 for the assessment & initial programme plus a pro-rata fee for the remainder of the month once your programme is live. By working together I will provide you with all the tools, coaching and professional expertise to help you achieve your goals. No more hoping or guesswork on your own. Your monthly fee can be cancelled anytime should you wish top stop your online training experience. I aim to offer my clients a first class customer service experience. If for what ever reason you are not 100% happy with your results or the online coaching service you have received from me, I will happily refund 100% of your first 30 days money back, no questions asked. ELITE is for people who have clear goals and are prepared to take their nutrition and training extremely seriously for maximum results. Work closely with the trainer for maximum benefits within a premium coaching service. I create all my clients workouts from scratch based on the specific goals they present to me during their consultation. I will progress and develop your programme based on your progress, achievements and personal objectives. Create better food based habits, behaviours and routines to help you reduce body-fat, tone your muscles and increase health without dieting or missing out your favourite foods. Stay in contact, ask questions and get professional feedback from me directly with the built in, in-app messenger. I create all my exercises with clear instructions and full HD quality video demonstrations. Never worry about getting the technique wrong again. In order to ensure you are progressing, tangible measures must be put into place. I will schedule specific assessments for you based on your goals for regular review to ensure you are achieving your goals. I will provide you with weekly coaching based feedback on your training results, exercise adherence and the tracking of your healthy new habits. Only £6.66 per day for 24/7 access to your bespoke fitness plan. ● P.T in your pocket: In app messaging support from a real trainer with over 20 years experience. ● Freedom to workout whenever and whenever you want to. Hybrid training refers to the clients who train with me both in person at my studio and online within my Elite package. Please note: T's and C's apply. Simply send us a message and we will be in touch within 24 hours to get you started. “I just wanted to say a big thank you for a brilliant session today. It was just what I needed and my body feels so much better now. I didn't feel that great (i.e flexible) this morning and it is simply fantastic and priceless to have a personal trainer like you who are so diverse and so good at his job. Thank you Danny”! “If you fancy some personal training you won't find better than Danny. Strongly recommended to anyone who wants to get fit, but also understand their own fitness really well and fitness potential. Excellent”! “Danny has had an amazing impact on my approach to training and my view of what is achievable. I have been particularly impressed by the professionalism and commitment he has put into understanding my goals and what motivates me to exercise. The Adappt approach is refreshingly different from that of the big commercial health and fitness centre's with an emphasis on the needs of the client and a real integrity regarding results and feedback. I still can’t believe the progress I have made in only 1 year. I thought my skiing career may have to be curtailed. However Danny has dealt with my knee problem and helped me attain my ‘best ever’ level of fitness. My only wish is that I discovered Adappt 5 years ago. Thank you – really appreciated”. “Just a short note to thank you Danny for your contribution to my Duathlon and Triathlon 2011 racing season successes. It had appeared that my performances were steadily deteriorating and I was adjusting to racing with increasing back pain, and slower times. I have now had my best season for some time after 2 years of following your core stability classes and general advice on training. This year (2011) has resulted in me becoming AGE GROUP (65-69) English Champion, and representing GB to become European Champion, and 6th in World Championship. Your motivation, specific advice, knowledge and overall enthusiasm has reinvigorated my approach. I can’t wait for 2012”!